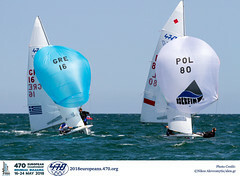 The Men’s Two Person Dinghy – 470 has concluded fleet racing at the Hempel Sailing World Championships in Aarhus, Denmark handing more nations a spot at the Tokyo 2020 Olympic Sailing Competition. 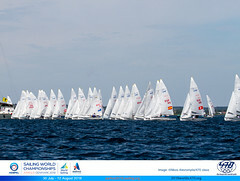 Twenty nine countries competed in the Men’s 470 fleet in Aarhus. Japanese sailors were represented in the fleet but as host nation, receive an entry into every Tokyo 2020 Olympic sailing event. 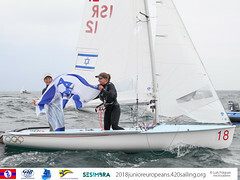 The World Championships is the principal qualification event for the Tokyo 2020 Olympic Games with 101 places, 40% of the total quota in the ten Olympic sailing disciplines, up for grabs. Six places will be available in the Men’s and Women’s One Person Dinghy following the 2018 Asian Games and 2019 Pan Am Games. Two Men’s One Person Dinghy and two Women’s One Person Dinghy spots will be awarded to eligible National Olympic Committees (NOC) through the Tripartite Commission Invitation Places. The International Olympic Committee will invite eligible NOCs on 14 October 2019 to apply for these places. All places are awarded subject to the details of the qualification system. Click here to view the qualification system in full. Follow the event on World Sailing’s social networks and get involved in the conversation using #Aarhus2018.